Creating new web designs from scratch can be lucrative, but it’s also time consuming. If you want to make money repeatedly off of one design — without having to spend more time on it — the easiest way is to sell it as a theme or template. More than a few web designers take full responsibility for selling their themes, but it can actually be harder to sell a template on your own than through one of the many sites selling themes from a wide variety of web designers. It comes down to the fact that buyers would rather visit one site and sift through a whole stack of templates quickly than search the web for a theme here and a theme there. While you might take home a smaller percentage of the sales price on a template site, you’ll likely make more sales. There are plenty of sites out there willing to sell your templates for you and some are better than others. Different sites offer designers a larger cut of the proceeds or have more traffic to guarantee higher sales. The ten sites listed below are some of the better choices when it comes to selling your work and are loosely listed in the order of how much work it will actually require to sell your templates through them. ThemeForest offers the opportunity to sell HTML templates, WordPress themes, Joomla templates, Flash templates and Photoshop templates. The price for a theme or a template does vary — as does your cut as the designer. Your cut depends on whether or not a design is exclusive to ThemeForest: for non-exclusive themes you will receive 25% of every sale. For exclusive themes, you will receive between 35% and 50%, moving upwards as you sell more themes. You can find the full payment scheme on ThemeForest’s Payment Rates page and the site’s legal information is also available. Before a web designer can start selling on ThemeForest, he or she must first read a tutorial and complete a short quiz. Templamatic has some simple requirements for templates it posts for sale: valid HTML and CSS mark-up, cross-browser compatibility and no copyright problems. 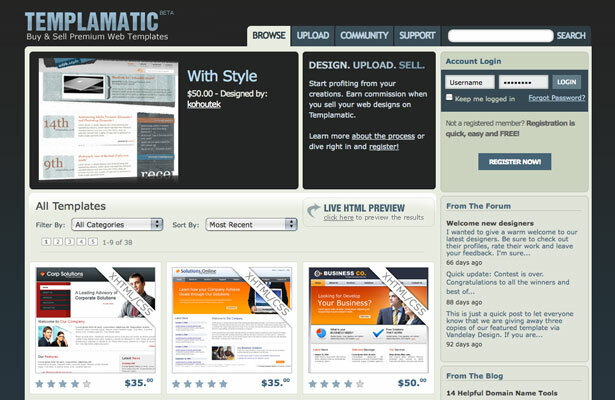 In exchange, the site offers web designers 65% of all sales. 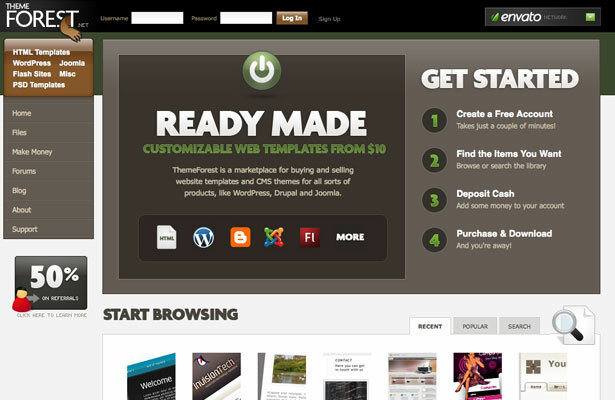 Uploading a template or theme is a matter of setting up a free account and adding your work. You can set your own price for your work — although it’s important to remember that you don’t get the full amount you set. 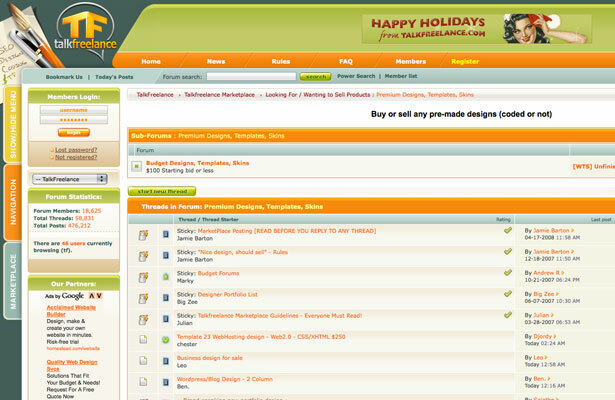 Templamatic accepts a variety of templates, including WordPress, Drupal and Joomla. The site also accepts skins for MySpace, phpBB and other social sites and platforms. All templates and themes are approved by Templamatic staff before they become available on the website. 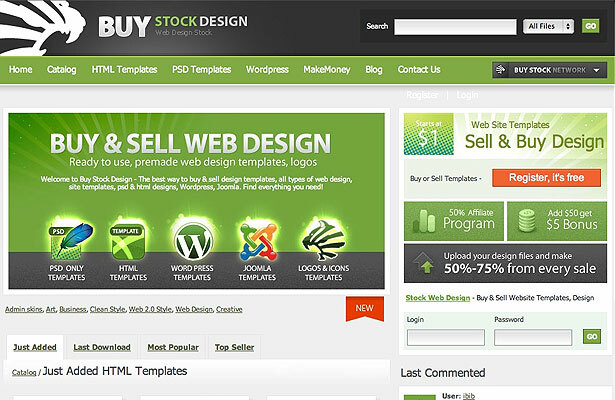 BuyStockDesign is a fairly new marketplace that allows you to upload files and make between 50-75% of every sale. They allow PSD, HTML, WordPress, as well as Joomla templates. Prices start at only $5 and go all the way up to $25. Minimum cash out is $50 via Paypal or similar systems. All files include source files. The site’s selection is not very big at this time, but the site looks promising and should keep growing. You can sign up as an author and sell templates. There are plenty of sites that sell specific types of templates. FlashDen is one site that handles only Flash website templates, along with a few other Flash files. 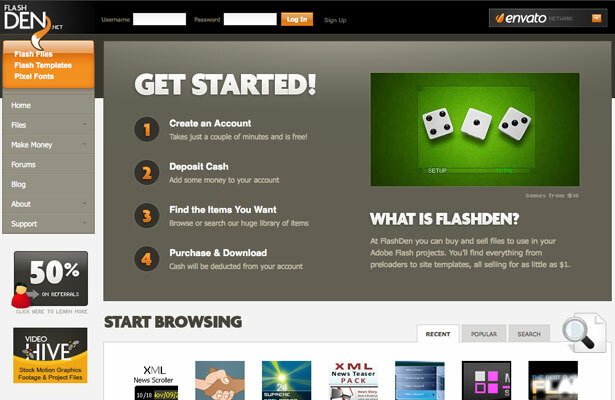 FlashDen is owned by the same network as ThemeForest and operates in a similar manner. You receive a percentage of every sale, with higher rates for exclusive templates. You’ll also need to complete a quiz to begin selling on FlashDen — you can start the process at the Author Program page. The network that owns FlashDen and ThemeForest also provide opportunities to sell audio and video files. 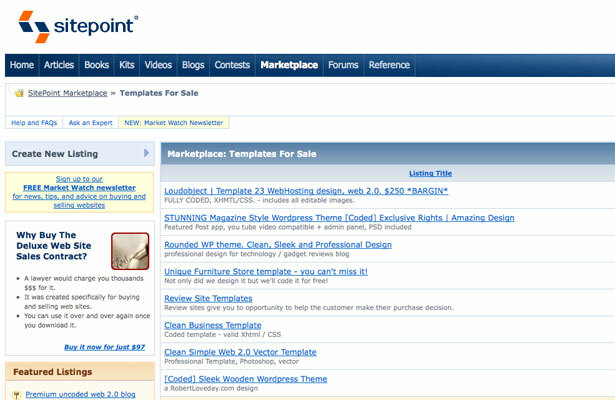 While SitePoint’s Template Marketplace may look like just another forum, it provides a forum with templates for sale. The marketplace does lean towards WordPress themes, but you can list just about any kind of website template you have available. There is a fee to list your templates — but Sitepoint does not take a cut of your sales. To begin selling on Sitepoint, you’ll need to create a listing for a new auction. You set your price when you create a listing, as well as establishing whether a template is exclusive to Sitepoint or if it is available elsewhere. You’ll find that TalkFreelance operates similarly to SitePoint — along the lines of a forum. Overall, the site caters to webmasters and a specific forum has been set aside for web designers looking to sell themes or templates. You can set your own prices and hold auctions through TalkFreelance, and the site does not take any percentage of your sales. If you’re interested in selling through TalkFreelance, you’ll need to become a member of the forum. The site limits sales in its forums to members who have made at least five posts on the forums: there is a whole section of the site devoted to discussing web design, so the barrier to entry is not actually that high. There are a few other guidelines that TalkFreelance has established, which are available on the website. 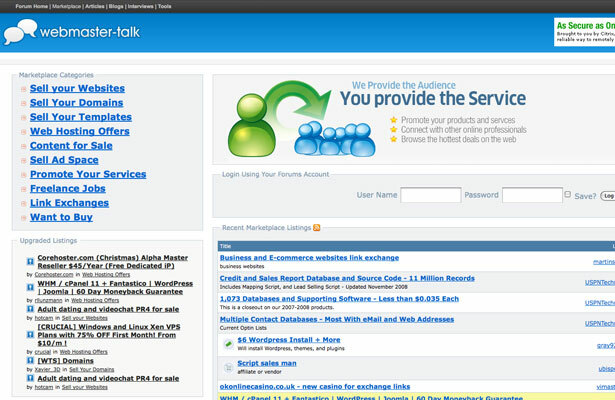 There is a lot of potential for selling templates on webmaster forums: Webmaster-Talk is another good reason. These sites provide useful marketplaces because they cater to individuals who typically own multiple websites — a target audience more likely to purchase website templates than other demographics. There are minimal limitations on listing templates for sale at Webmaster-Talk. The site does automatically treat every listing as an auction, but you can easily sell multiple instances of a theme or template at any time. 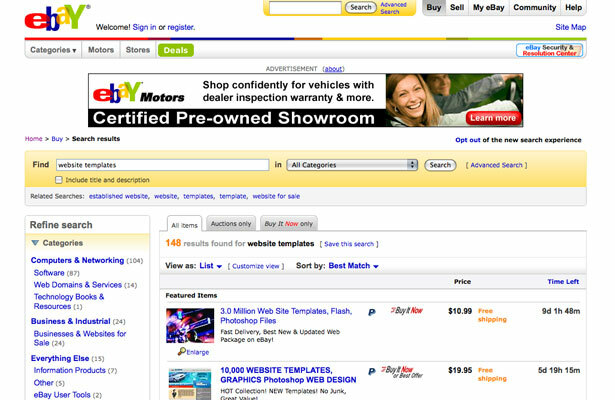 You really can sell anything on eBay, including website templates. While it may be harder to sell pricier templates on eBay, the sheer quantity of buyers searching the website can mean a volume well worth the effort of selling your work on eBay. Website themes and templates sell on eBay exactly like any other product: you list the item you wish to sell and either set a ‘Buy It Now’ price or an auction. Depending on how many templates you want to sell, setting up an eBay store can be worthwhile: you can list multiple copies of a template for sale with a little more ease, as well as multiple templates with minimal efforts. There are thousands of website designers out there who rely on templates and themes they can quickly tweak to provide customers with quick websites. Just browsing through a designer’s portfolio can give you an idea of how heavily they use templates. Offering to license a template to such designers — especially if you offer some level of exclusivity — can get you a solid amount of money, usually more than if you sell templates through various online marketplaces. You will need to market your work, to a certain extent: sending out emails to a number of web designers is enough, but without that promotion, they won’t know that you exist. While I did mention that it’s harder to sell themes and templates through your own website, it can be done successfully. The key is to find a specific niche of templates to offer — perhaps templates for a certain kind of business or skins for certain websites — and to advertise your products. 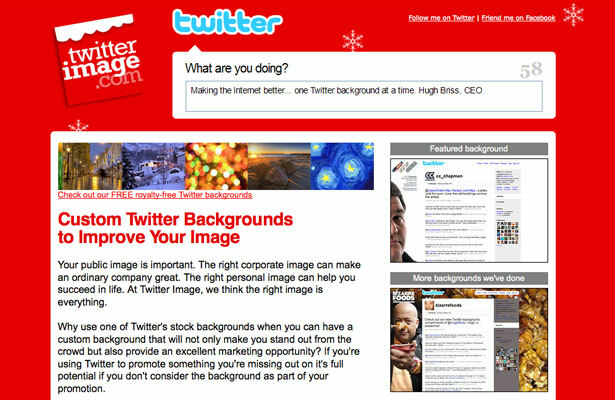 Hugh Briss offers a great example with his website, TwitterImage. Hugh has found a very narrow niche — custom Twitter backgrounds — and a way to advertise his offerings for a minimal cost — free custom backgrounds to any Twitter member with at least 2,000 followers. If you can follow Hugh’s example, you can sell themes and templates effectively from your own website. It will require more work, including promotion, than other options. You may have noticed that a lot of big template retailers aren’t on this list. That’s because companies like TemplateMonster aren’t easy to sell your work to. In general they work with on-staff web designers to develop and sell themes, rather than using work from freelancers or independent companies. Selling your templates through those sites isn’t a side income — it’s a full-time job. Instead, the options here are options to provide you a steady stream of income that doesn’t take as much work as designing a website from scratch. It is not impossible to make your entire living by producing templates, but most web designers simply don’t treat it as such. There are other template marketplaces out there, many of which are specialized: some sell only a specific type of template, others sell templates optimized for a particular language. If you create specialized themes or templates, such sites may provide you with a better price for your work. Have you sold templates or themes through any of these websites? What was your experience like? What other websites do you recommend?